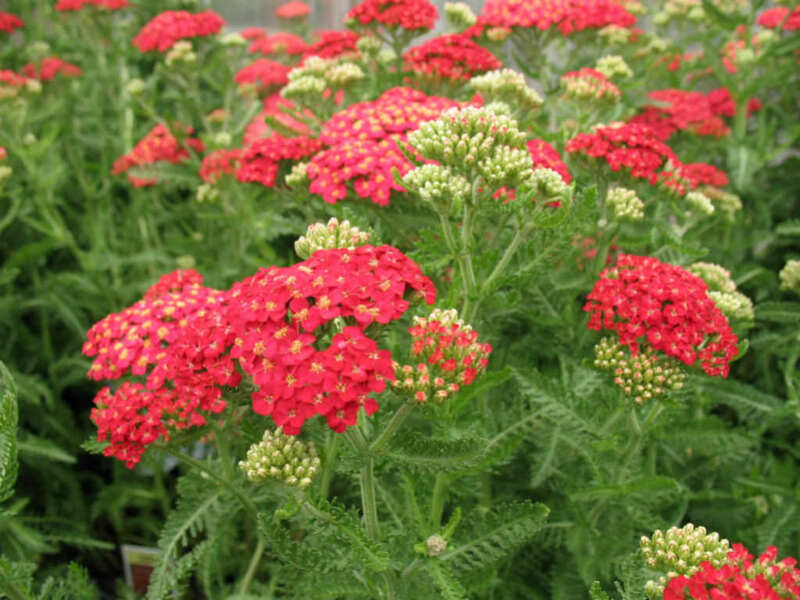 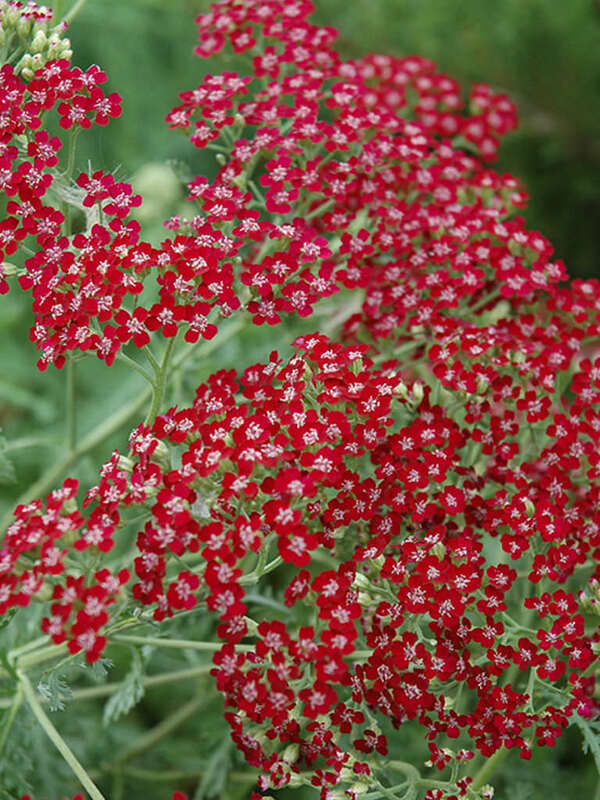 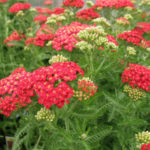 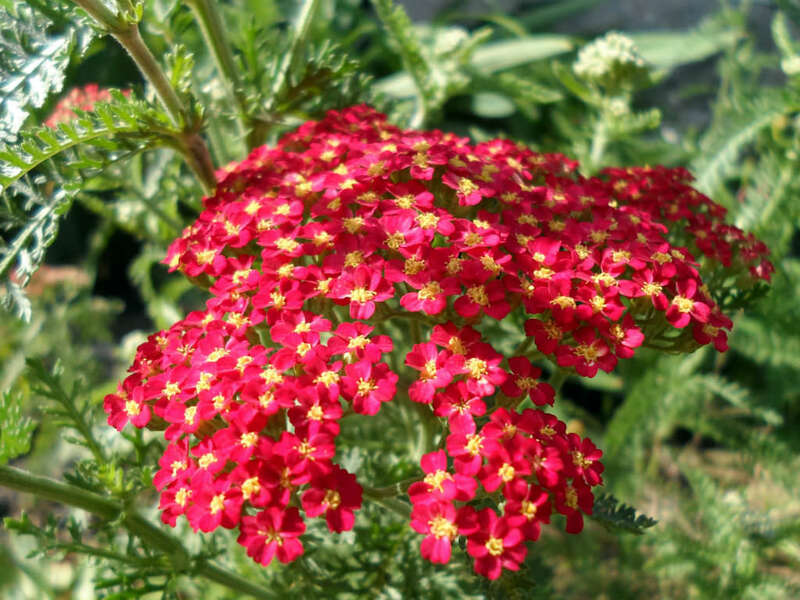 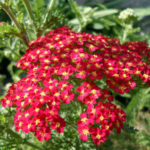 Achillea millefolium ‘Red Beauty’ is a rhizomatous, spreading, upright Yarrow cultivar that is noted for its cerise-red flowers and ferny aromatic foliage. 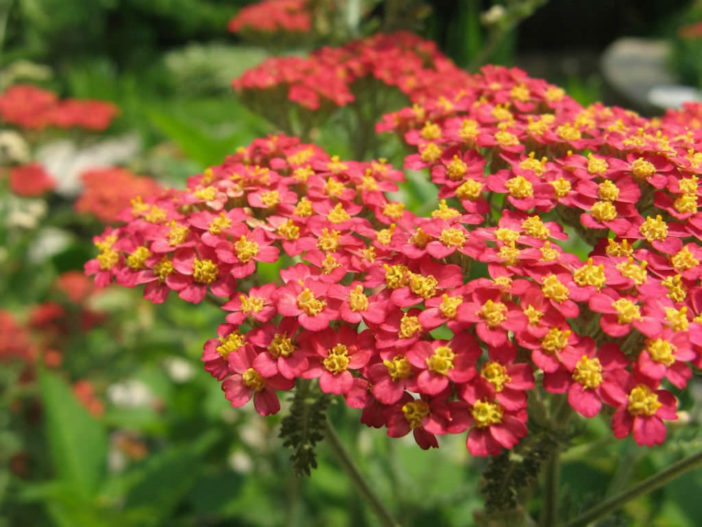 Flowers appear in dense, flattened clusters (compound corymbs up to 4 inches/10 cm across) over a long summer bloom on stems typically rising up to 24 inches (60 cm) tall. 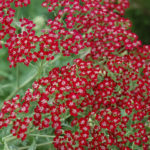 The leaves are deeply-dissected, fern-like, medium green and have a strong, somewhat spicy aroma that may persist when used in dried arrangements.